Boston is an intellectually sophisticated city. As a result, it has numerous museums ranging from purpose-built palatial halls to small exhibits contained within other attractions. On this page, we note some of the museums that are open to view. 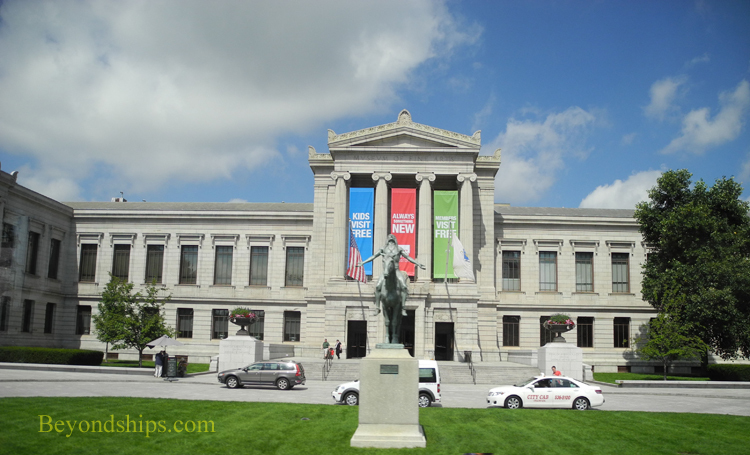 One of the great museums in Boston is the Boston Museum of Fine Arts (above and right). The MFA, as it is known, opened in 1876. It has over 450,000 works of art in a comprehensive collection that runs the gamut from Ancient Egyptian to contemporary works. Its French Impressionist works include one of the largest collections of the paintings of Claude Monet outside of France. amassed an incredible collection of art including works by Titan and by Michelangelo. She then created a unique, intimate museum to house the collection designed after an Italian villa. Moreover, to ensure that it was a living temple to the arts, the artist John Singer Sargent was given a studio there and musicians such as soprano Nellie Melba performed in the courtyard. Across the Charles River in Cambridge, the Harvard University has three fine art museums. The oldest of these is the Fogg Museum (1895). It has a renown collection of European paintings including a notable group of Impressionist works as well as paintings from the Italian Renaissance and American works from the 19th and 20th century. 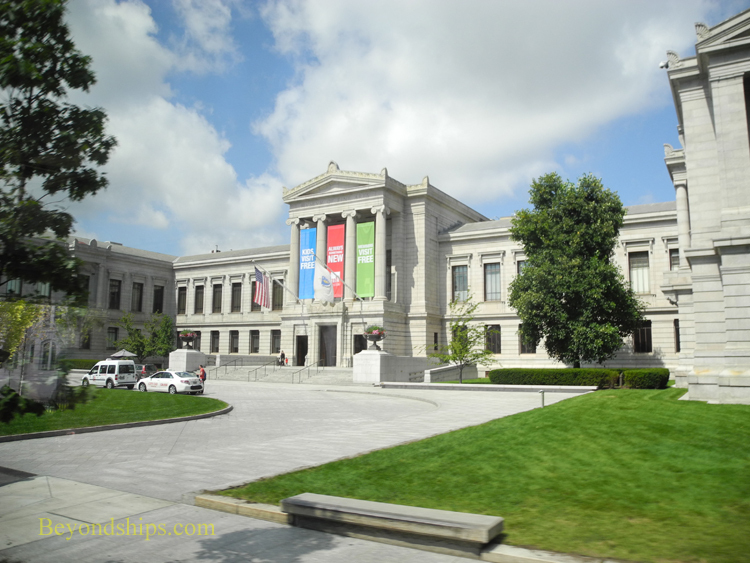 The other Harvard Art Museums are the Busch-Reisinger Museum and the Arthur M. Sackler Museum. 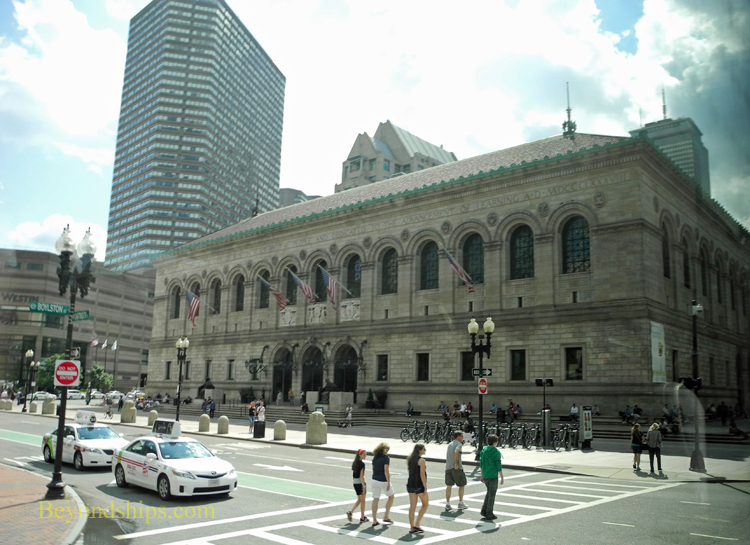 Not a fine art museum per se, the Boston Public Library's McKim Building (left) is a storehouse of art. Designed by Charles Follen McKim this building in Copley Square was erected in 1895 and is a masterpiece of late 19th century architecture. Inside it is decorated with murals including some by John Singer Sargent. The building also houses the Library's exhibition rooms. The Library offers free tours of the building. In 1864, the members of the Boston Society of Natural History opened the New England Museum of Natural History. Since then the Museum of Science, as it is now called, has grown to encompass all fields of science including astronomy and computer science. Among other things, it includes the Charles Hayden Planetarium, a theater in which images are projected onto a five-story dome, and a collection of some 100 animals. 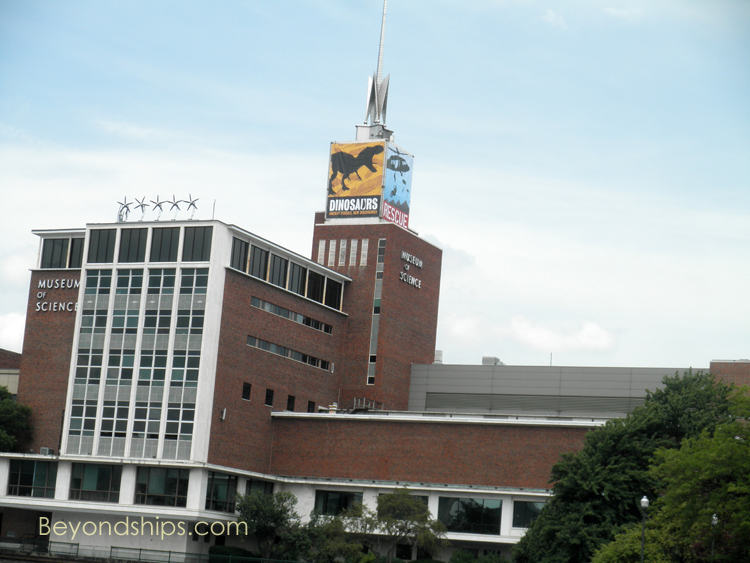 Its programs and 700 interactive exhibits attract 1.5 million visitors to the Museum of Science each year. 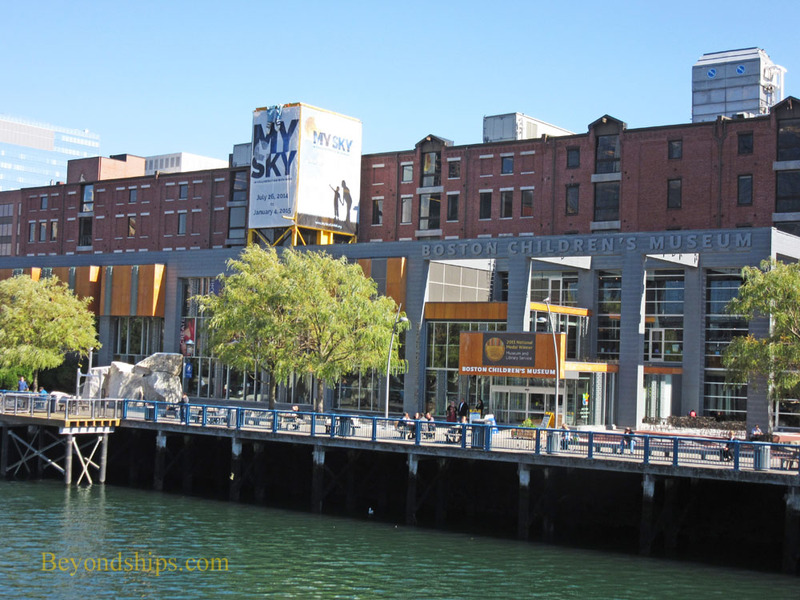 The Boston Children's Museum was founded in 1913 to advance the teaching of science. Today, its exhibits focus on science, culture, environmental awareness, health & fitness, and the arts. As the name indicates, the museum is geared toward children and families and emphasizes hands-on engagement and play as part of the learning process. American Revolution. 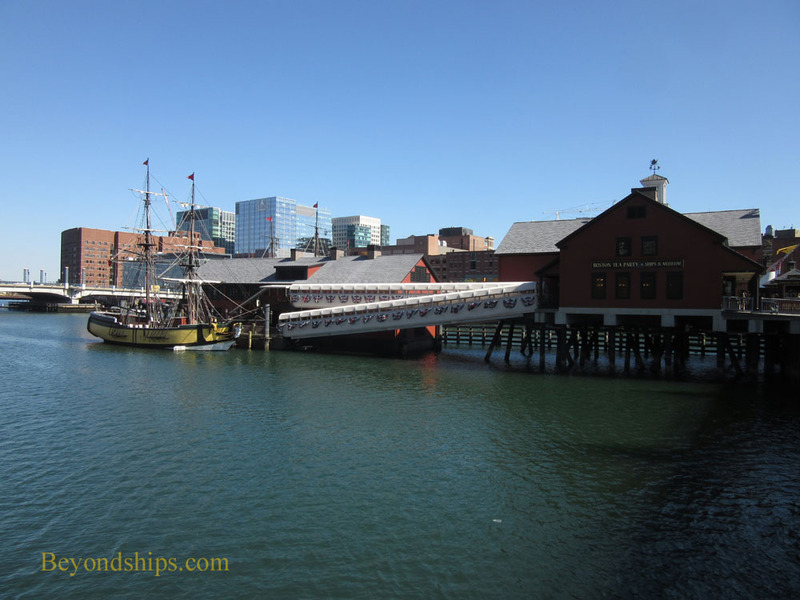 This museum floats beneath the Congress Street Bridge and includes interactive exhibits as well as recreations of two sailing ships. As part of the tour, visitors can toss crates of tea into the harbor. (The crates are retrieved afterwards). 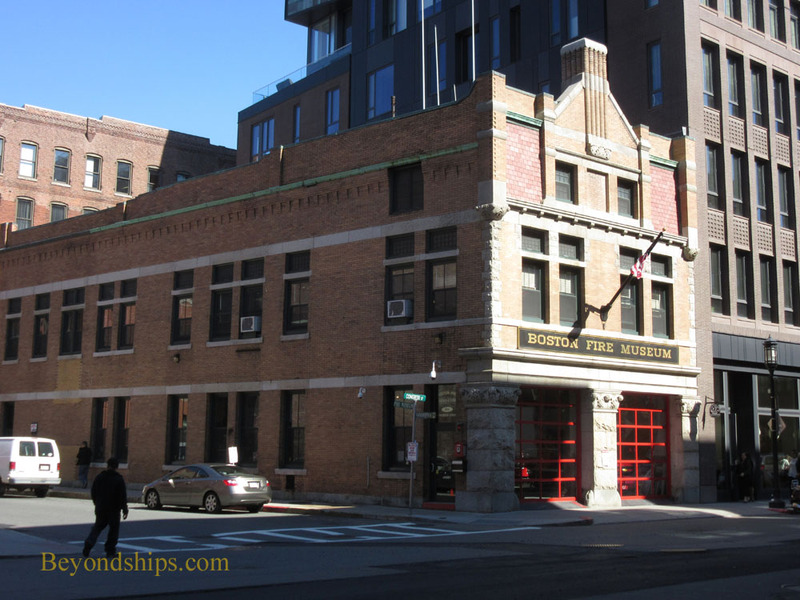 Occupying the historic Congress Street Fire House is the Boston Fire Museum. Its goal is to preserve and display fire fighting memorabilia from the Greater Boston area and to educate the public with regard to fire safety. Documenting mid-20th Century political history is the John F. Kennedy Presidential Library and Museum. This museum is dedicated to the memory of the 35th President of the United States and includes a recreation of the Oval Office in the White House. President Kennedy's political career began in Boston.